Adrian Beltre jammed the gear stick into park and sat in his truck until the song finished. Once it was over he sat another moment. The street lights weren’t yet flickering on, but they would soon. He grabbed his thermos from the front seat, climbed out and snapped the padlock on his toolbox in the bed of the truck. Inside, something — maybe the way his footfalls echoed too deeply on the linoleum — told him no one was there. As he made his way into the kitchen, though, he saw the backdoor open, and through it he saw Glenda hanging wash on the line. At the table was her half-eaten salad — iceberg lettuce, sliced radishes, carrots with Wesson and sugar as the dressing. She thought losing some weight would help her find work, but she wasn’t losing weight. Or finding work. He stepped out on the back porch, and she turned to him. “Hey, she said, and turned at once back to the line. 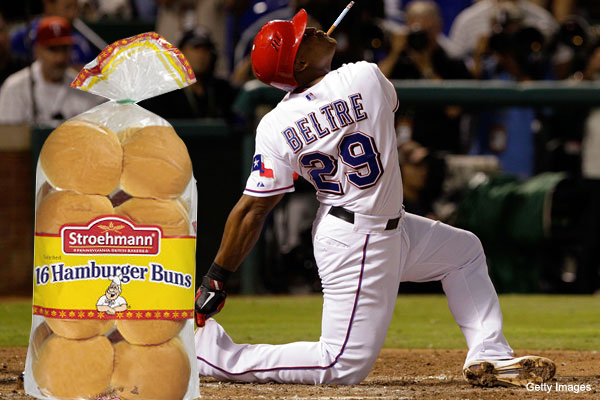 “Work was fine,” Adrian Beltre said. “I’m almost done,” said Glenda. He eased back into the house and fished a Miller out of the crisper. The first sip grabbed his throat going down, and he coughed into his fist. He started to reach for the stack of mail on the counter but stopped. He set the beer down and pulled off his work boots and dropped them with a tough thump in the utility closet. If he didn’t put them there, she would, and then he wouldn’t be able to find them. In the living room, he parted the curtains. A puff of dust made him start to sneeze, but then he smothered it. He watched it get darker out. Slowly? It seemed slow to happen. Or faster than it should, maybe? Earlier that day, he’d thought about the evening for some reason. Not this evening, but any of them. When it got darker did the change drift in, like fog across a field, or did it come down to them, like a rain in the middle of the night? He didn’t know why he’d thought about that today as he’d loaded totes onto a trailer bed. It wasn’t the kind of thing he usually thought about, but today he did. He told himself to watch and see how it happened when he got home that night — if he got home in time. And he had gotten home in time. So he lit a cigarette and watched the yard and the trees at the darkened edges. Was it easing in across the walk? Was it dropping in through the maples? A sprinkler hissed down the street, and the hostas next door seemed to wave to the sound. Was it night yet? Is there an instant when it goes from evening to night? If there is, was that it right there? “Did you hear me?” Glenda said from close behind him. He had not heard her. Adrian Beltre kept watching without quite knowing what to watch.